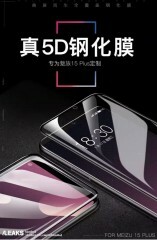 The Meizu 15 Plus has been a regular at the rumor mill since December last year, and even posed for some live shots a couple of weeks ago. 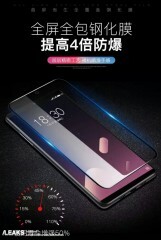 In today's installment of the saga of pre-announcement leaks, we're treated to a few renders of the phone with some glass screen protectors meant to cover its dual-curved screen. Screen protector manufacturers aren't ones to care for specs as long as they have the cutouts right, so no additional info on hardware comes from these images. That said, the renders do confirm a design that features minimal bezels. 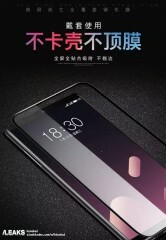 It remains unclear how Meizu will go about fingerprint recognition as there's no room on the front for a sensor, and those live images we mentioned didn't show a sensor on the back either. If vivo is doing under-display fingerprint sensors, maybe Meizu can too. The 10-LED flash seems safe to remain a Meizu-exclusive, though.